Bonn, 13 November 2017 – At this year’s UN climate summit, COP, the Munich Climate Insurance Initiative (MCII) will receive the prestigious Momentum for Change Award for its efforts to implement climate insurance for vulnerable people in developing countries. In particular, the award is being given for the Livelihood Protection Policy (LPP), an insurance product in Jamaica, St. Lucia and Grenada which allows people to sign up for climate insurance irrespective of their profession or income level. To accept the award, MCII will be joined by two people closely involved with the LPP. Severin Francois, flying in from Castries in St Lucia, is an LPP product champion and insurance specialist at EC Global. While it is MCII’s mission is to bring together researchers, insurance experts and NGOs to develop climate insurance solutions, it is local organisations, such as EC Global, that are licensed to sell these insurance products. 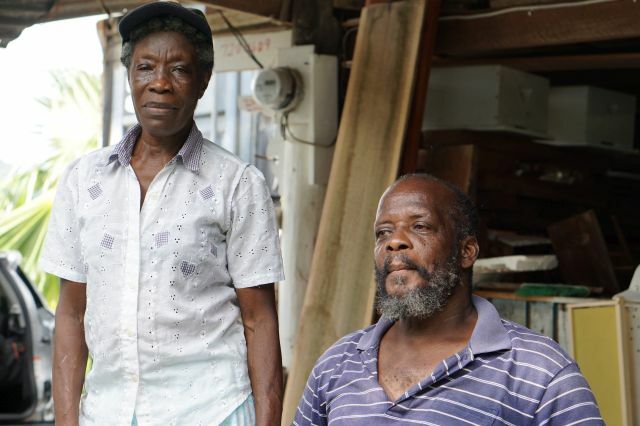 MCII will also be joined by Walter Edwin, a St Lucian bee farmer and LPP policyholder, who says he bought the insurance to protect himself against extreme weather, as the effects of climate change are becoming increasingly severe in the Caribbean. Several times the LPP has helped him to recover from damages caused by extreme weather, he says. Once satellite data has confirmed that certain thresholds measuring rain and wind have been reached during a hurricane or tropical storm, policyholders receive pay-outs within a couple of weeks. “I normally get a call on my phone, knowing that I’m entitled, because it has reached the trigger,” explained Edwin. 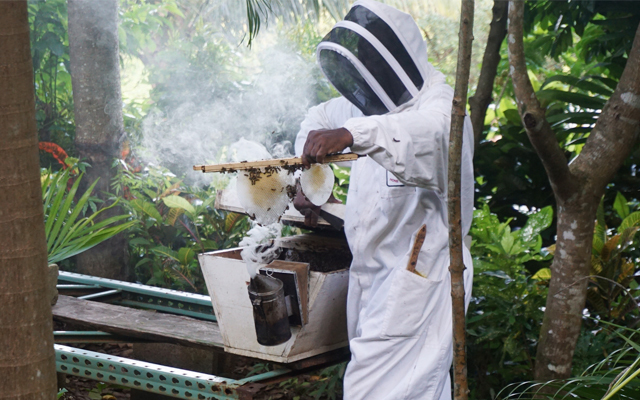 “Then I know for sure I don’t have much to worry about, because I know my business will no longer suffer.” Edwin then invests the money he receives in what his bees need to recover from the damage, because “if they survive I know I will survive”. Micro-insurance products, such as the LPP, are designed to protect and empower low-income people, who are particularly vulnerable to the impacts of climate change. 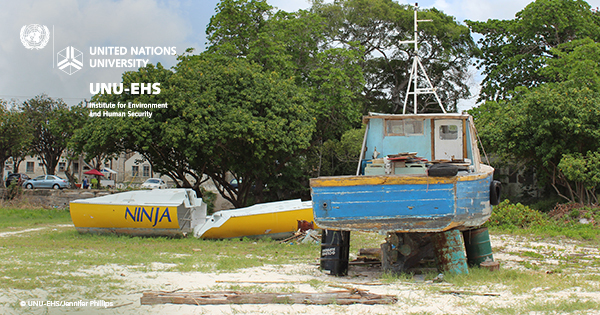 By extending financial protection to under-served communities, MCII is demonstrating the role that financial inclusion can play in climate change adaptation. Recipients of the 2017 Momentum for Change Award will accept their awards at a showcase event on Tuesday 14 November 2017 from 6:30 to 8:00 pm in Meeting Room 8. The following day (November 15) MCII will present its activities in the Caribbean at a roundtable event for the winners in the category “financing for climate friendly investment” from 6:00 to 7:00 pm in the Climate Action Studios, Bonn Zone. The Munich Climate Insurance Initiative (MCII) was initiated as a charitable organisation by representatives of insurers, research institutes and NGOs in April 2005 in response to the growing realization that insurance solutions can play a role in adaptation to climate change, as suggested in the Framework Convention and the Kyoto Protocol. This initiative is hosted at the United Nations University Institute for Environment and Human Security (UNU-EHS). It is focused on developing solutions for the risks posed by climate change for the poorest and most vulnerable people in developing countries. MCII provides a forum and gathering place for insurance-related expertise applied to climate change issues. High-resolution images and b-roll of the project are available upon request. MCII also has an exhibit booth in the Bonn Zone.